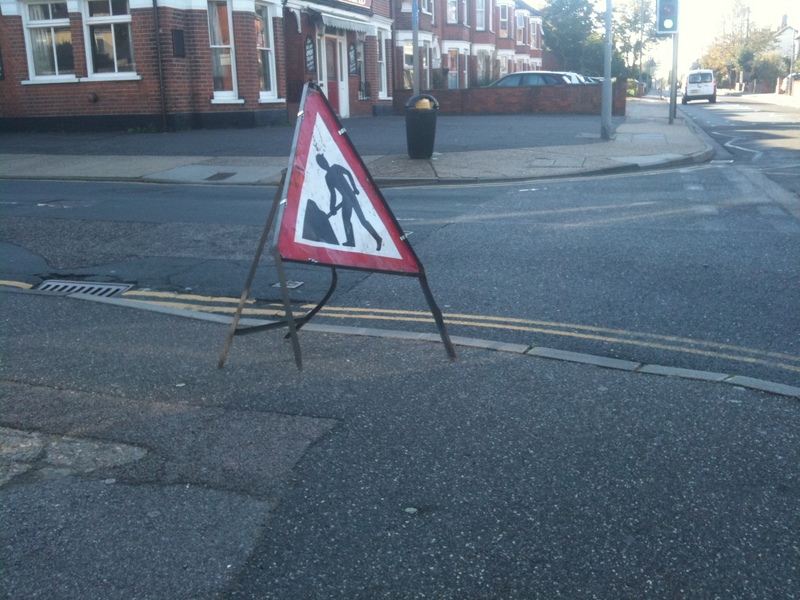 Ipswich Borough Council staff are disrupting pedestrians near to road works by leaving signs on pavement with only 800mm clearance (which is about the width of an external door to a house and less than the legally required 1 meter for road works signs). Only when pressed did they confirm that they knew the law about 1 meter clearance. 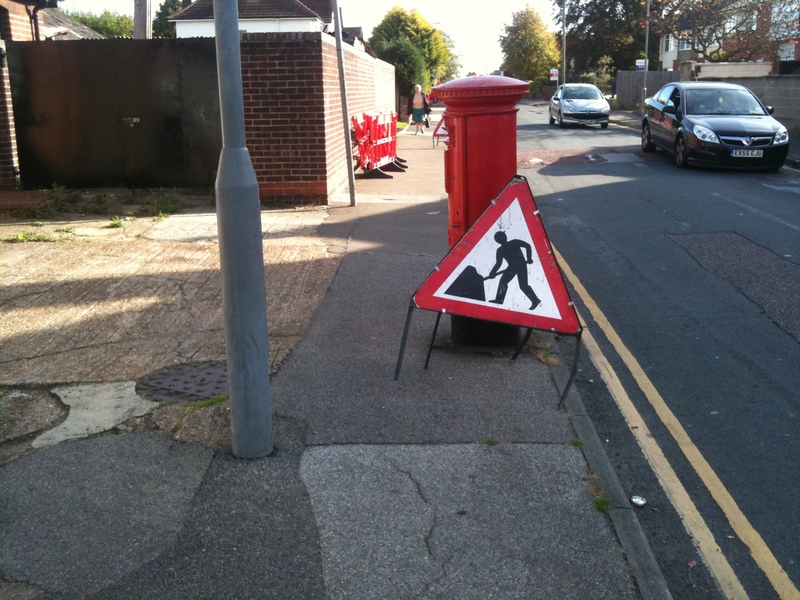 Their justification was that they were concerned about the risk to motorists if the signs were further into the road – no concern at all that I heard about the risk to pedestrians and old people from leaving them on the pavement. 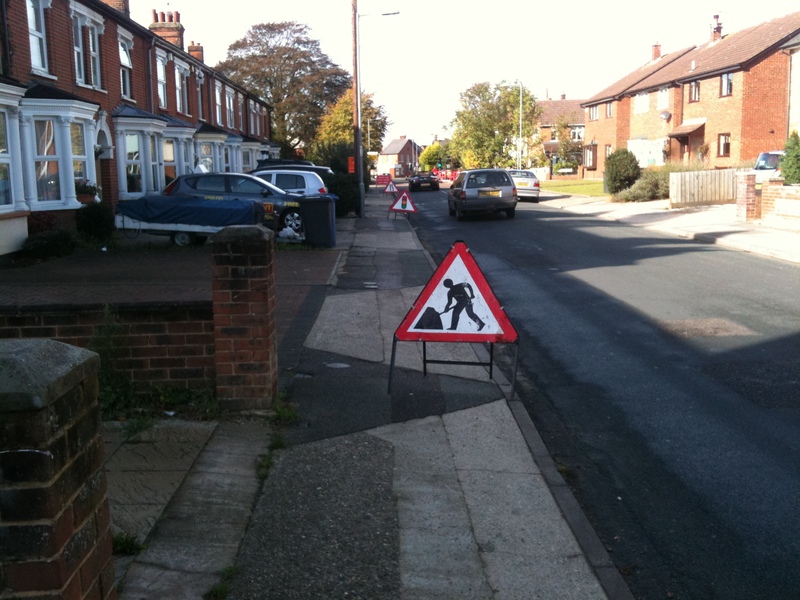 I have reported this on fixmystreet which the council monitors and responds to. Here are some photos of the signs in question. The good news is that there is a 100% clear rule that they are breaking in this case. No excuses about it being a ‘necessary obstruction’ or a ‘willful obstruction’. It is however a very clear example of the contempt that pedestrians are treated with and is, I am sure, repeated across the country. 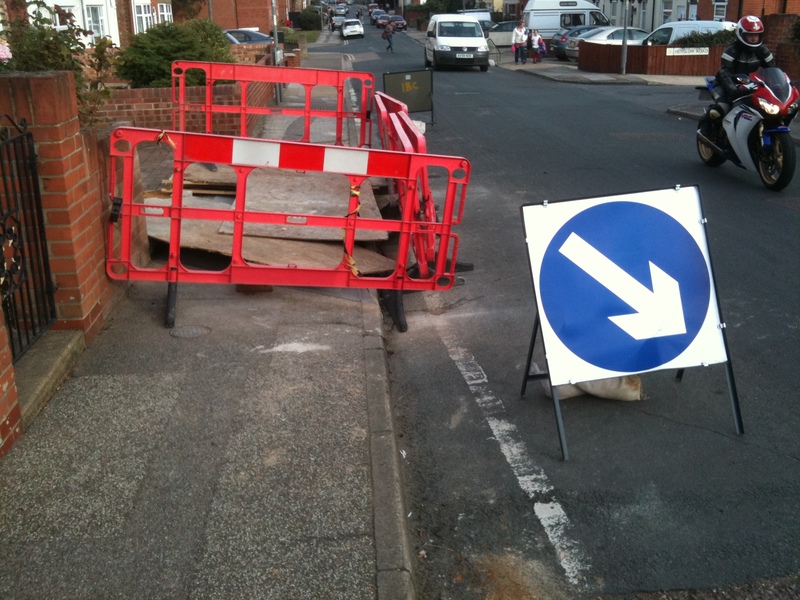 Incidentally I am still waiting for May Gurney to ask for their signs backwhich they left blocking a pavement over a week ago! 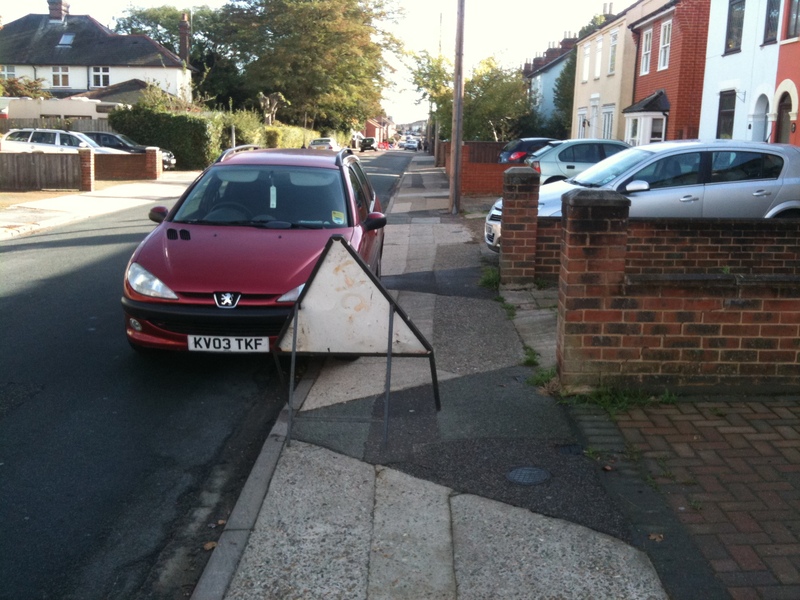 Blocking the pavement illegally and useless due to parked car! The following day all consideration of pedestrians had disappeared. That is disgusting but, oh so typical. Pedestrians are lucky to be treated as second class these days, in far too many cases they just aren’t considered at all. The local council’s don’t appear to be interested, local and national politicians don’t want to know (they run scared of the motoring lobby), the police turn a blind eye (not only are they as big culprits as the public, they endorse this way of thinking). 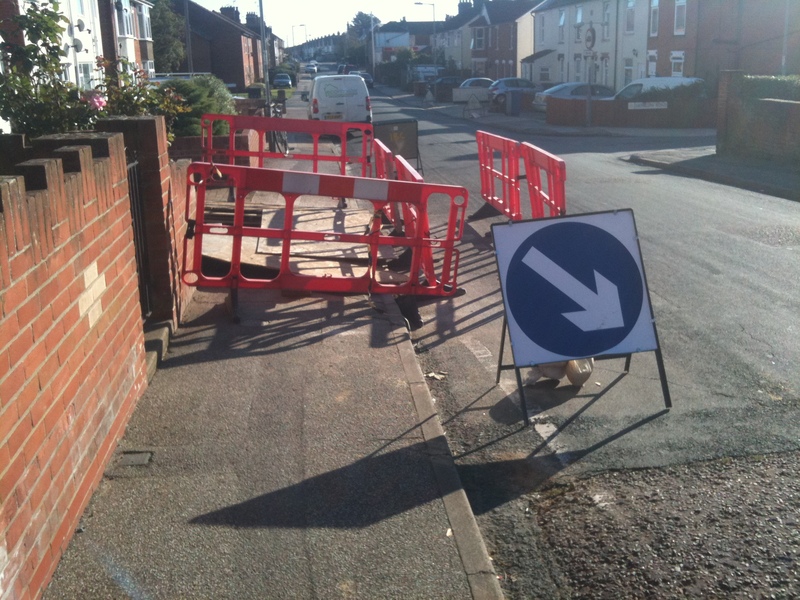 There’s also nothing on that last one to enable people in wheelchairs to get up and down the kerb.